Converted to Scania type MD. MD72 seen here in Woolwich with the wrong blind set. THAMEMEAD Alsike Road - Abbey Wood - Plumstead - Woolwich - Herbert Road - Shooters Hill - Sun in the Sands - K-idbrooke Station - Lee Green - LEWISHAM Bus Station. 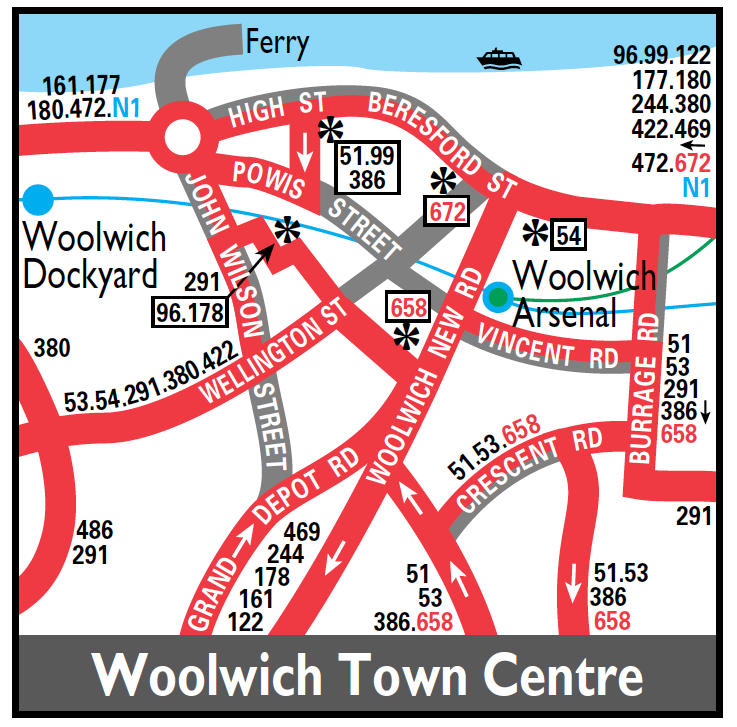 Extended from Woolwich to Lewisham via withdrawn section of service 291. THAMEMEAD Hailey Road - LEWISHAM Bus Station. Operation transferred to Bexleybus operating from Bexleyheath. Extended at Thamesmead to Eastern Industrial Estate via Yarnton Way. 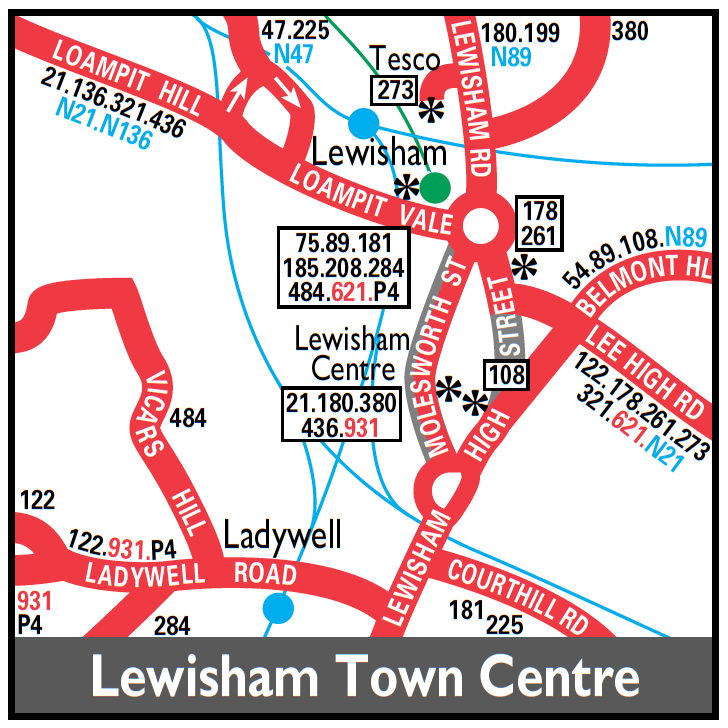 Extended daily via Ferrier Estate and current Route 278 to Lewisham Bus Station. Buses in both directions are to work around Ferrier Estate in an anti clockwise loop via Tudway Road - Moorehead Way - Weigall Road - and Kidbroke Park Road. Rerouted at Shooters Hill Road via Baker Road - Stadium Road - Ha Ha Road - Nightingale Place and Plumstead Common Road in order to serve Queen Elizabeth Hospital. The previous routeing replaced by revised 244.